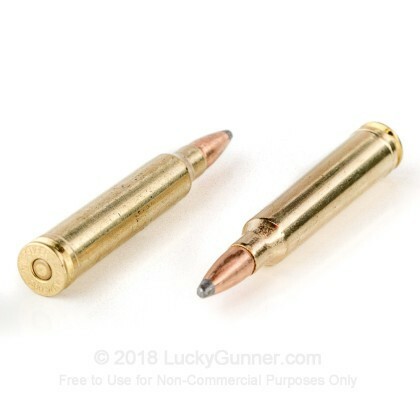 The 300 Winchester Magnum has been around for years and is one of the most popular rifle cartridges in America. 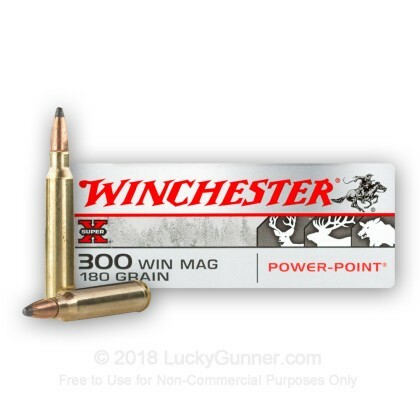 With its accuracy, range, and reliability, the 300 Win Mag is an excellent round for hunting and long distance match shooting. Winchester has been in business since 1866 and has a reputation for producing high quality firearms and ammunition. 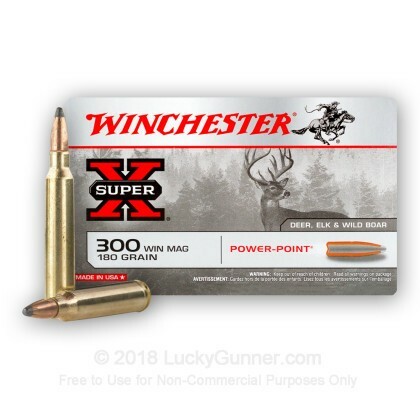 Their Super-X line of ammo is designed to deliver consistent results without a huge price tag. 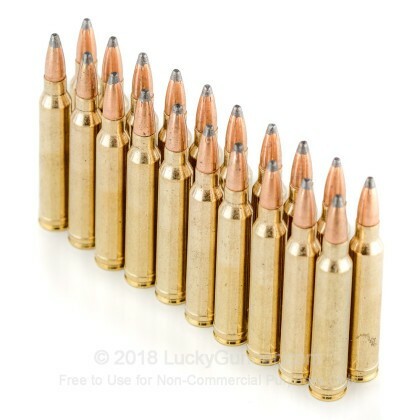 Each round in this box of 20 features a 180 grain Power Point projectile that delivers hard hitting knockdown power and reliable, controlled expansion. 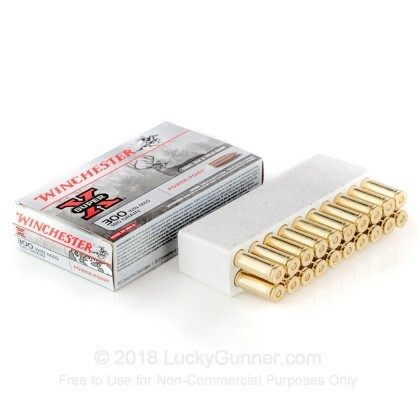 Winchester use fresh brass cases that come boxer primed and are re-loadable. 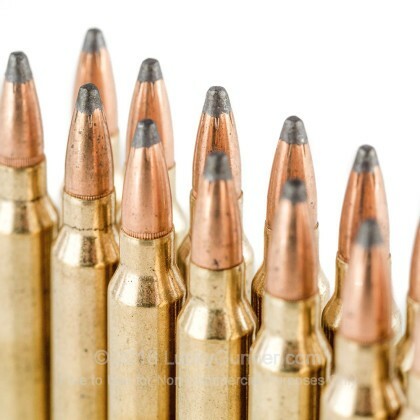 These rounds are just what you need for all kinds of big game hunting, including boar, deer, and elk. Pick up a couple boxes today!